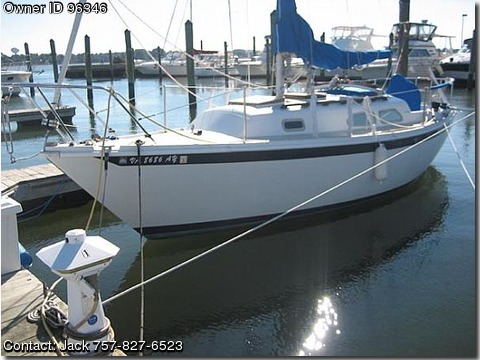 Please call boat owner Jacjk at 757-827-6523. Includes Trailer. 3 sails Main, Genoa 135 and Spinnaker in good condition, Atomic 4 30 HP professionally rebuilt, runs strong, dual batteries, new chart plotter, new VHF radio, new depth finder, roller furling head sail, wheel steering, life jackets, shore power cable, 5 Harken winches, Bimini top good condition, 15 gallon fuel tank, 10 gallon holding tank, interior and exterior cushions.